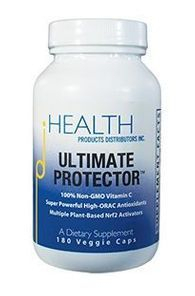 People who have Diabetes report that their symptoms have decreased after taking an Nrf2 activator. Following the testimonials are current research articles that report new information about the cause of Diabetes and how Nrf2 activators can be effective in treating it at the cellular level where it starts. Cathi Lindall: As you know, I am diabetic with all the problems that go along. One of my greatest fears is losing my legs as my grandfather lost his from diabetes. I suffered severe neuropathy in both my legs and feet. In addition to that, I had 3 stints put in my left leg last summer and was diagnosed with PAD. I was experiencing severe leg cramps nightly. Hardly a night went by when I wasn't awakened by them and had to jump out of bed and walk around. This would happen several times a night. Since taking Vivix, I have not been awakened a single evening with a leg cramp. Wonderful! And I can feel my toes again. They no longer feel like wooden appendages. Bless Shaklee and Vivix! I now experience full nights of restful sleep. Go to source. Wally Hoewisch: I know diabetics on VIVIX and have been able to reduce their medication in half and have much more energy. Go to source. Diabetic sufferer: "I was diagnosed as a type two Diabetic about 4 years ago. Up until 2009 I had steadily increased my diabetic oral medications until I was at the point where I was going to have to go insulin dependent if I did not get my glucose levels and A1C test levels under control. I had essentially maxed out oral medication options. About that time my chiropractor became aware I was a diabetic, and he told me about an all natural supplement that was technically an anti-aging supplement, but that he had been hearing some amazing success stories about benefits it was bringing to both insulin and non-insulin dependent diabetics. The product was Protandim, and it was from a company called LifeVantage. I did a lot of research on the supplement and decided I would give it a try. 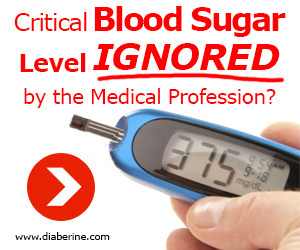 "When I was diagnosed with diabetes about 4 years ago my A1C score was 13.2. Considering you want your your A1C test to be below 7 this was pretty bad. Through oral drugs I was able to get the A1C down but I was still struggling to get below that 7 mark. In October of 2009 I was still at an unacceptable 8.9 when I started taking Protandim. Then in April of 2010 my test lowered to 7.3 and then in October of 2010 I finally got below 7 to 6.8. In June of 2010 I also was able to start reducing my oral medications. This is a big win for a diabetic. "There are actually two big side stories to this that are worth telling. In addition to being a diabetic I have always had high cholesterol levels. In April 2010 my total cholesterol was at 225 and bad cholesterol or LDL was at 159. By October of 2010 my total cholesterol had gone down to a very acceptable 138 and my bad cholesterol had gone down to a respectable 77. This is a thirty nine percent reduction in total cholesterol and a fifty two percent reduction in bad cholesterol. Dave Goins: My name is Dave Goins, and I’m a diabetic. I used almost 30 units of insulin each day, and in only five days, I was able to lower my insulin from 30 units to 20 units. WOW! Just after 2 months, my insulin is down to 12 units, plus I’m lowering it now that my body is now letting me know that I do not need as much insulin. I had to take nine pills a day for pain in my feet and legs, and I stop taking them now started taking Protandim. I do not need them anymore, and I thank the Lord almighty for Protandim. (from jsuddsblog.blogspot.com). Kimmihend: My husband and teen daughter both have type 1 diabetes. They have been taking protandim for about 5 weeks now. The results have been amazing!!!! As most teen, My daughter does not keep her diabetes under control. Her BS averages had been in the 270s for over a year, with an a1c of 10! She is now averaging BS of 170-180. The only thing she has changed is taking protandim every night. (from diabeticconect.com). A friend: I don't have diabetes but I do have a friend that has T1 diabetes and I'm just a customer who is on Protandim, I told him about the product and we both did some extensive research on Protandim because I would like to see my friend feel better. Well he ran it by his doctor and the doctor said he didn't think it would help him at all but watching the video on the study of Protandim said it may help. So I brought him a bottle of Protandim and he agreed to try it he's been on it now for 2 months and LOVE'S it. You have to understand this man is like my brother to me we were both in the U.S. Marines and seen a lot of combat together so I would never hurt my friend and would do anything for him. He has no problems at all with his T1 diabetes and he doesn't take his meds as much anymore now. He told me T1 is diabetes is something you’re born with. I know everyone is different and the only experience I have with diabetes is my friend but it's working for him. So all I can say is DO THE RESEARCH on this product for yourself. Don't listen to the masses - what doesn't work for some may work for you. For more info go to pubmed.gov and type in Protandim, that's the site for the U.S. National library of medicine National Institutes of health (from diabeticconnect.com). Nicegal1: Actually, I don't sell the product and neither does anyone in my family or my close friends, and I am thinking that I never will so that people can't claim my opinion is biased. But, I decided to stop listening to skeptics who have never used it, or attack it just for it's business model or whatever rumor they heard from so and so who also has never used it, and try it on my almost 6 year old daughter with Type 1 diabetes. I still feel $40 a month for a few months is a very small investment to try something. Seriously, we spend that much on a night out for Pizza every month. Prescription meds are often way more expensive and also, often times, come with negative side effects. So, I took the chance. We just finished the first 30 days of one pill a day, usually given a half in the morning and half at night (they say it should take at least 120 days to see full effects)…results are…she has slightly lower insulin needs: Lantus lowered from 3 to about 2.25 units in the last 2 weeks, and she requires less Humalog at mealtime too, significantly lower at dinner. That said, type 1 diabetes is a very funny disease and can fluctuate on it's own. So, I'm not convinced by the lower insulin numbers alone for this short of a time. But she also has higher energy levels. She used to be exhausted and irritable by about 7:30 every night and now she is more like our other kids and is ready to go to sleep around 9 or so and much of the irritability is gone. So, that's it for now. No miracle cure in the first 30 days, but good signs. No negative side effects either. Hopefully it will continue. This is coming from a person with no agenda. 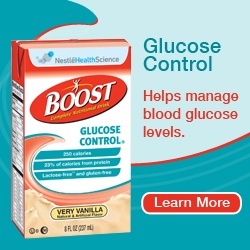 (from diabeticconnect.com). Frank Naquin: "Eight years ago I was diagnosed with aggressive Prostate Cancer. It was already in stage 4, and I needed surgery immediately. After the surgery I went home. In a couple of weeks my appendix ruptured. I had to have an appendectomy, and they left my abdomen open for 3 weeks. I went home, and the following day I had a heart attack. I had to go back in the hospital, and they put a stent in my heart. A couple of weeks after that they had to do some work on my right leg muscle because of problems they had with the appendectomy. After the surgery they did a colonoscopy, and I was diagnosed with colon cancer. They removed my entire colon. I got a staff infection and stayed in the hospital two and a half months. I went home with a colostomy, and that didn't work. It wouldn't stay attached. So they came up with an experimental procedure called a j-pouch. They use your intestine to make an internal pouch. They failed to tell me that I would have diarrhea the rest of my life. On good days I would go 8 to 14 times a day. On bad days it could be 15 to 30 times a day. I had 20 bad days a month and 10 good days. In order to try to control the diarrhea they put me on steroids and codeine. As your body acclimates itself to the drugs they had to continue to raise the dosage. It really never worked. After 6 months they put me on a chemo drug to control the diarrhea and to keep the bacteria out and to keep cancer from that pouch. I stayed on the chemo drug for six and a half years. With the side affects from the steroids, codeine and other medication I had to take, I wound up with a lot of joint problems. I had to have both my elbows redone. I just recently had back surgery because it deteriorated the disk in my back. Plus it was killing my heart. During that whole time over the last six and a half years I wound up getting fifty one procedures done just to try to control what was going on because of the steroids and other heavy medication. "A couple of years ago they brought me in. I had numerous heart attacks. They wound up putting in 5 stents and 4 balloons because my arteries were getting clogged up. I couldn't breathe. I couldn't take a bath without having to do it in two stages. I didn't have the strength or the breath it took to take a shower all at one time. Things progressively got worse. In December I was diagnosed with diastolic heart failure. They told me I was getting fibrosis of the heart. My heart would compress but it didn't have the strength to pump the blood back out to my lungs and my brain. I was having migraines and chest pains so bad that I was taking two and three nitroglycerine pills at a time because of the chest pain. The doctor said they couldn't do anything. My blood pressure was 95 to 100 plus over 150 to 160. It was really bad. In March they told me the diarrhea was getting uncontrollable. I couldn't eat any food other than heavy starch. I'm a diabetic. I was using three insulin bottles a month because of the food I had to eat and the steriods I was taking. My meter wouldn't even read my blood glucose level. The meter reads up to 600. Your normal glucose level should be between 70 and 120, and all my meter would show was high. I couldn't eat any decent food without having heavy abdominal pains and heavy diarrhea. I didn't sleep more than an hour or so a night at one time before having to go to the bathroom. There was no quality of life whatsoever. I was about at the end of my rope, and they were going to remove the internal pouch and go back with the colostomy which is something I didn't want. "Then someone brought me a DVD showing the effects of Protandim. I had never heard of it, and I really didn't want to take another pill, but after a couple of weeks of that DVD sitting in my kitchen I decided to watch the video. Once I watched it I researched more on the computer and I decided that night I was going to take it. The next day I called a distributor, ordered a bottle, and he gave me some to take while my order came in. I started taking Protandim the beginning of April, and within two weeks the abdominal pain ceased. I had no more abdominal pain. The diarrhea was cut more than half. I started backing off the steroids and codeine pills. Within three weeks I was completely off the steroids and codeine, and I had no abdominal pain, no diarrhea and no chest pains. "The Protandim, what it did for my body, got rid of all the poisonous radicals I had in my body. I was taking some 39 pills every day, and now I take one Protandim, a fish oil pill and one blood pressure medication where I was taking three before. And I have no problem. My blood work came back. After 3 months I had blood work done. My A1C dropped from 9.2 to 7.1. The first 3 months I was on Protandim my insulin intake dropped by two-thirds. Instead of taking 3 bottles of insulin a month I'm down to 1 bottle. During the time I was taking my medication alonside the Protandim I had no side effects whatsoever. I still don't have any side effects. I take it every day. I will continue taking it every day. Since that time I've been trying to get everyone I knew to start taking this product because of the results it has done for me. I want to get the word out to everyone I know and to everyone that's sick that has any kind of problems that this product is truly one of the best products that I have ever taken, and I hope that this message will get to someone who needs it, even if I can save one person from going through what I went through. I got off my chemo 2 weeks ago, and when they had put me on that drug they told me that as long as I wanted to live I had to stay on it. Two weeks ago they told me I was clear, I no longer needed it." The influence of the telomere-telomerase system on diabetes mellitus and its vascular complications. Qi Nan W1, Ling Z, Bing C.
Introduction: The telomere-telomerase system plays an important role in the pathogenesis and disease progression of diabetes mellitus as well as in its vascular complications. Recent studies suggest that telomere shortening and abnormal telomerase activity occur in patients with diabetes mellitus, and targeting the telomere-telomerase system has become a prospective treatment for diabetes mellitus and its vascular complications. This review highlights the significance of the telomere-telomerase system and supports its role as a possible therapeutic target for patients with diabetes mellitus and its vascular complications Areas covered: This review covers the advances in understanding the telomere-telomerase system over the last 30 years and its significance in diabetes mellitus. In addition, it provides knowledge regarding the significance of the telomere-telomerase system in diabetes mellitus and its vascular complications as well as its role and mechanisms in oxidative stress, cell therapy and antioxidant activity. Expert opinion: The telomere-telomerase system may be a potential therapeutic target that can protect against DNA damage and apoptosis in patients with diabetes mellitus and its vascular complications. DNA damage and apoptosis are associated with oxidative stress and are involved in the dysfunction of pancreatic β cells, insulin resistance, and its vascular complications. Abnormalities in the telomere-telomerase system may be associated with diabetes mellitus and its vascular complications. Therapies targeting telomere-telomerase system, telomerase reverse transcriptase transfection and alterative telomere lengthening must be identified before gene therapy can commence. J Ophthalmic Vis Res. 2014 Jul-Sep;9(3):362-73. doi: 10.4103/2008-322X.143378. Diabetes and retinal vascular dysfunction. Shin ES1, Sorenson CM2, Sheibani N3. Diabetes predominantly affects the microvascular circulation of the retina resulting in a range of structural changes unique to this tissue. These changes ultimately lead to altered permeability, hyperproliferation of endothelial cells and edema, and abnormal vascularization of the retina with resulting loss of vision. Enhanced production of inflammatory mediators and oxidative stress are primary insults with significant contribution to the pathogenesis of diabetic retinopathy (DR). We have determined the identity of the retinal vascular cells affected by hyperglycemia, and have delineated the cell autonomous impact of high glucose on function of these cells. We discuss some of the high glucose specific changes in retinal vascular cells and their contribution to retinal vascular dysfunction. This knowledge provides novel insight into the molecular and cellular defects contributing to the development and progression of diabetic retinopathy, and will aid in the development of innovative, as well as target specific therapeutic approaches for prevention and treatment of DR.
Evid Based Complement Alternat Med. 2015;2015:350703. doi: 10.1155/2015/350703. Epub 2015 Jan 18. A metabolomics approach to stratify patients diagnosed with diabetes mellitus into excess or deficiency syndromes. Wu T1, Yang M2, Liu T2, Yang L2, Ji G2. The prevalence of type 2 diabetes continuously increases globally. The traditional Chinese medicine (TCM) can stratify the diabetic patients based on their different TCM syndromes and, thus, allow a personalized treatment. Metabolomics is able to provide metabolite biomarkers for disease subtypes. In this study, we applied a metabolomics approach using an ultraperformance liquid chromatography (UPLC) coupled with quadruple-time-of-flight (QTOF) mass spectrometry system to characterize the metabolic alterations of different TCM syndromes including excess and deficiency in patients diagnosed with diabetes mellitus (DM). We obtained a snapshot of the distinct metabolic changes of DM patients with different TCM syndromes. DM patients with excess syndrome have higher serum 2-indolecarboxylic acid, hypotaurine, pipecolic acid, and progesterone in comparison to those patients with deficiency syndrome. The excess patients have more oxidative stress as demonstrated by unique metabolite signatures than the deficiency subjects. The results provide an improved understanding of the systemic alteration of metabolites in different syndromes of DM. The identified serum metabolites may be of clinical relevance for subtyping of diabetic patients, leading to a personalized DM treatment.